You will not want your golf club slipping off the ball while taking a crucial swing while it is raining. Dust and weathers can badly affect your valuable golf head and will reduce their performance. But you can prevent this by choosing best golf head covers. 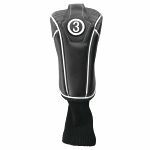 The golf club head covers to ensure that the clubs are in best shape and provide you with maximum efficiency to hit the golf ball. 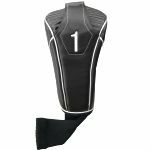 Golf club accessories are the most expensive, and most of the golfer spend a huge amount on it's to protect the club heads from breakage and rust. It is club heads that have direct contact with the ball. Moreover, they can also be prone to rust. That's why it is important to choose the best golf club head covers, built using the best material and style to protect the clubs head. When it comes to best golf head covers, you can trust on Monark Golf. 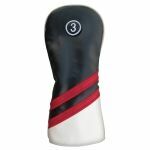 It offers you a wide collection of headcovers from top brands at attractive discounts. The covers will match your style and perfectly snugs your driver or fairway wood. 1. 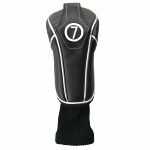 The headcovers made of neoprene mesh material with sleek design to slip over the head which will partly cover the shaft. It should be used in a fashion to serve the purpose. 2. There are long neck headcovers designed to the head and the shaft. 3. 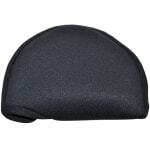 Some brands offer the short neck headcovers to cover without any difficulty. 4. There are also zipped cover, magnetic closing systems covers which provide perfect fitting. These are for the new square-headed drivers. 5. If you are an animal lover, you can go for animal themed headcovers like tiger, monkey, gator and more. All these headcovers come specially designed to fit your putters, irons, and woods. With Monark Golf, you can choose from those that stretch over the clubhead or the zip-on, zip-off trend. 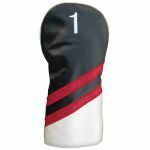 Monark Golf offers you the club headcovers of various materials such as rubber, neoprene, and leather. 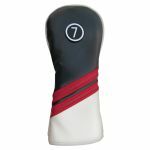 Looking for a perfect store to buy quality headcovers? Monark Golf is your perfect destination.